What Does State of the Art LED Rental Mean For You? Matrix Visual Solutions delivers stunning visual displays around the country with state of the art LED panels. Since our inception in 1996, we have become the leader in premier LED video wall solutions, including indoor, outdoor and creative LED panels. Along with the rental of our state-of-the-art equipment, you can count on our industry best technical team to professionally setup, program, and integrate the LED video wall into the overall production. Our entire focus is aimed at becoming your LED partner, with LED solutions for event branding, product showcases, and stunning entertainment. We accomplish this through reliable and responsive customer service that exceeds your expectations. Matrix Visual focuses on building long-term relationships. 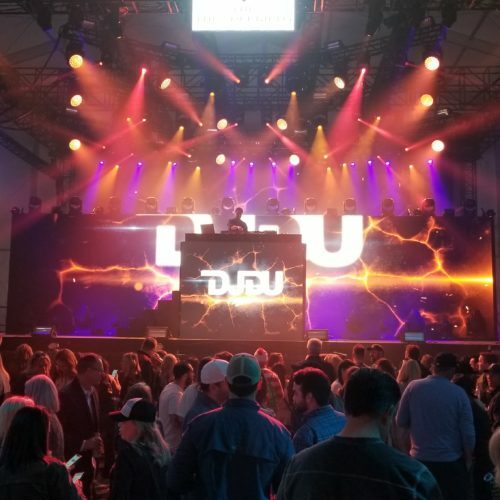 Our teams work with you to create a unique visual impact in corporate spaces, staged entertainment, business conferences, trade shows, concerts, and any indoor or outdoor venue where an “out-of-this-world” visual experience is the goal.